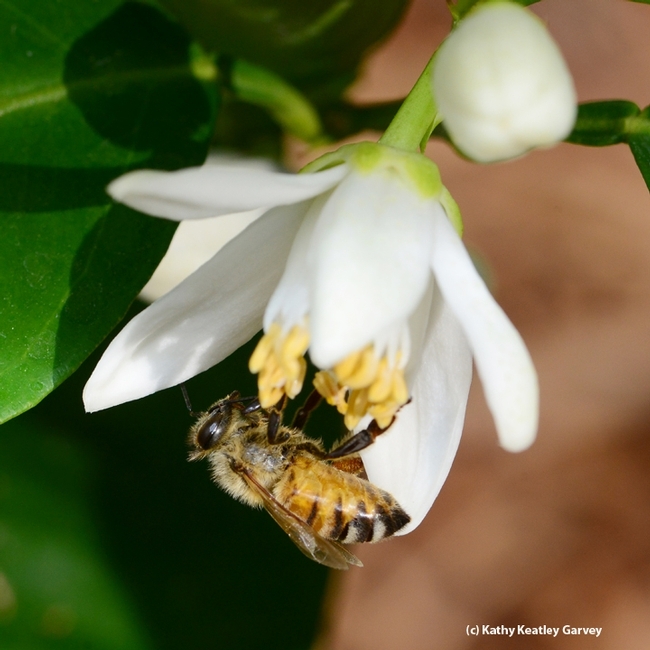 If you like oranges, you can thank a honey bee. Oranges are 90 percent dependent on honey bees for pollination. Remember that week of freezing temperatures back in December? Yes, it affected California's $2 billion citrus industry. California Citrus Mutual estimated the freeze wiped out a quarter of the industry. And yes, expect to see the price of oranges and orange juice rise slightly. 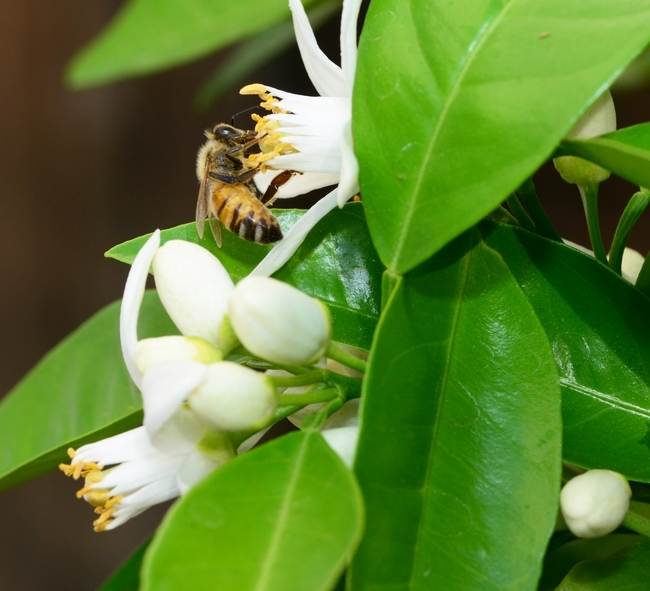 Meanwhile, as spring descends in the Central Valley, the orange tree buds are slowly opening, much as they have since the Gold Rush Days when settlers began commercial production of oranges in California, then primarily in the Los Angeles area. 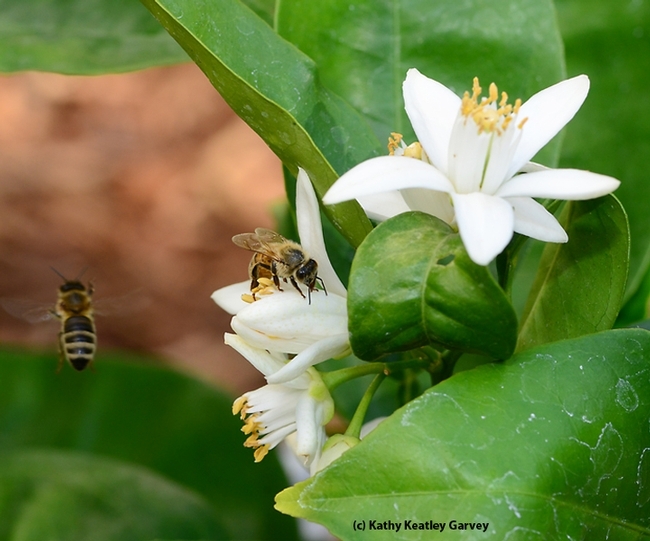 The sight of honey bees pollinating orange blossoms on a warm spring day is a sight to bee-hold.